Is your business equipped to grow through any economic environment? The Business Mastery program will help you understand the critical factors impacting your business right now, then refocus and realign with the business strategy and psychology you need for competing and innovating, in any economy. It’s no secret that massive results come from massive action. 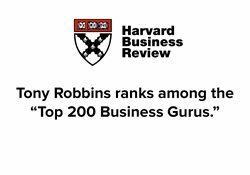 Discover Tony’s “7 Forces of Business Mastery” which are designed to help companies and brands, just like yours, avoid failure by constantly evolving, improving and adding value. Learn how Business Mastery can help you change your psychology and grow your business and your profits to new levels. AND THE NATION’S #1 LIFE AND BUSINESS STRATEGIST. We brought together a the below group of people that have devoted their time and energy to helping entrepreneurs. 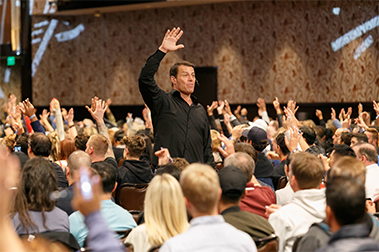 Regarded as one of the foremost authorities on business mastery, Keith is an expert at helping business owners turn fledgling businesses into highly profitable companies with explosive growth. As an internationally acclaimed strategist and bestselling author, David advises emerging companies who are working to transform their industries by delivering disruptive products and services. 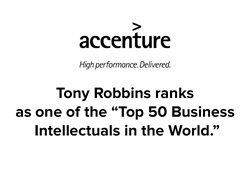 His insights help people, products and companies stand out, get noticed and capture hearts and minds. A former CEO of three successful tech startup companies and principal at consulting firm Future Point of View, Scott specializes in seeing beyond the horizon of how technology is changing the world and will help you decode the technology landscape so you can maximize your business. To know where you need to go in any situation, you’ll need a map. And the map must be up-to-date and accurately reflect the current landscape. To understand where you have to go, you must first be able to locate where you are on that map. To do that in business you must answer five critical questions. What business are you really in? Why did you get into business in the first place? Who are you and what is your core talent? Where are you in the lifecycle of the industry, and the economy, and as a business owner? And finally, what’s next? Today we will break ground on the path to your compelling future. As Peter Drucker said, business has only two functions — marketing and innovation. Marketing simply means getting people to do business with you. But these days, there is marketing on everything from bananas to boarding passes. We will discover how to standout in the field by adding value and offering expertise instead of interrupting your client, and inundating them to the point of the opt-out like so many others. Innovation is finding a way to meet your client’s needs better than anybody else. It doesn’t have to be glamorous, but it absolutely has to be strategic. You must innovate in ways that actually matter to your client. Once we uncover the unique ways you meet your customers needs better than your competitors, we will discuss the three ways to grow your business and tailor a 10-10-10 plan that’s right for you. Most people think that in order to have explosive growth, you have to make giant changes. In reality, if you understand the force of optimization and maximization of your people, processes, and financials, you can grow your business consistently while others are taking wild risks that don’t always pay off. Today, we’ll learn how to assess and measure each process in the marketing and sales value chain in order to make the small changes that compound to account for huge gains. What do Larry King, Mike Tyson, Elton John, Mick Fleetwood, and Cyndi Lauper all have in common? They are just a few high-earners in their respective fields who have all filed for bankruptcy. Ironically, it’s possible to do everything right and still end up, upside-down at the bottom of the books. Financial security buckets and asset allocation assignments are some of the most important decisions you will make in your business and today we will find your opportunities and learn how to protect against the downside. The psychology of an organization’s leader is the difference between success and failure; it’s the difference between a one-time success that is never followed up and a consistent habit of meeting and exceeding customer needs. To be successful in business, a leader must learn to destroy the limitations in their mind. We all come up with a story when things aren’t going well and the story is about something that is not our fault and that we can’t control. To be a leader in your field you must step up and commit to mastering the necessary skills and tools. Decide today how you will run your business in order to start transforming into the business you need to be. "For anyone out there who is thinking, ‘I don’t have the time or I don’t have the financial resources’ - You can’t afford not to attend Business Mastery." "The business strategies taught are priceless. Learn to be successful through any season of business or learn that it's time to get out! 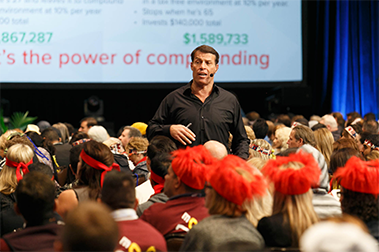 Tony Robbins adds massive value to you in this 5 day seminar. Business Mastery is a must." 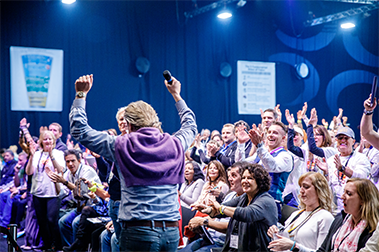 "You come to Business Mastery because it can exponentially expand your business. 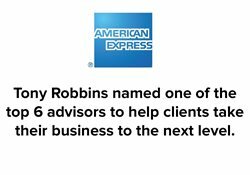 If you’re committed to doing it, Tony’s committed to helping you."